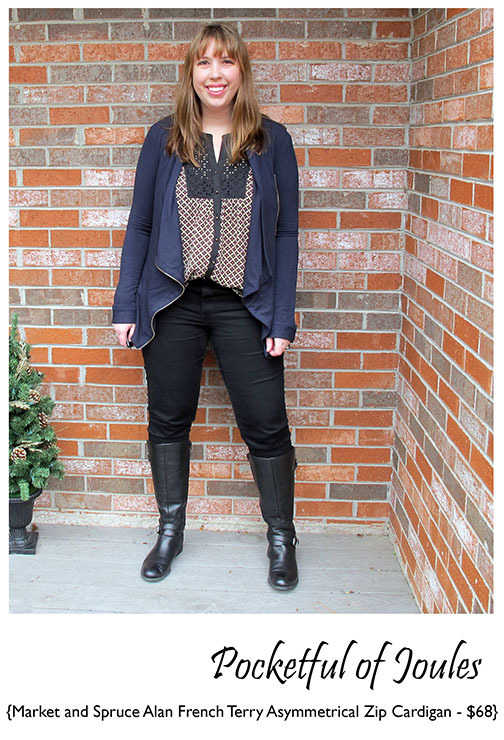 My December Stitch Fix: Another Buy-it-All Box? 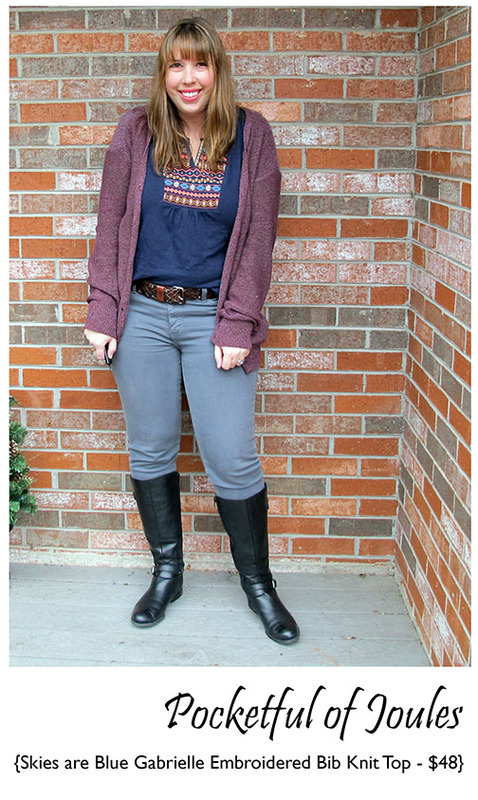 Bring on the eggnog and Christmas cookies, because it’s time for my December Stitch Fix! I’ve basically been looking forward to this Fix since about two minutes after I sent my November Fix back… so as soon as the box arrived I went from clothed to nekkid in about 19 seconds so I could try everything on. Don’t worry, the postlady was gone so I didn’t scare the bejesus out of her. I was extra excited to get this Fix before Christmas so I have a couple new things to wear for our various holiday events – I have some girlfriends coming over for a Bellinis, Brunch & Love Actually party, two family Christmas dinners AND two planned dates with my handsome hubby! Also, I listened to all your feedback about wanting larger pictures with MORE outfit options… so I hope you like the THIRTEEN pictures in this post! I thought by being much more specific with my requests – including some items I’d love to see – I’d be more likely to get a Fix I loved. I was initially a little bummed out when I opened my box and read Sara’s note that they didn’t have any of my requests in stock. However, I totally forgive her because she really delivered and this Fix ROCKED!! Let’s see what I got! My initial thoughts when I saw this cardigan is that it looks super similar to one I just ordered and returned to another company. That one fit super weird and was kind of scratchy, but this one is just the opposite. It’s super soft, lightweight but still substantial, and makes me want to throw it on with everything from a pair of black jeans to yoga pants. I actually like this cardigan open a lot more than I like it closed, but I showed you how it looks each way in case you are interested in requesting it for yourself. The sleeves are a bit long, but I actually love an extra-long sleeve in the wintertime. When I first saw this dress in my box I was kind of in love with the adorable fox printed fabric. I love a nice and subtle animal print, don’t you? 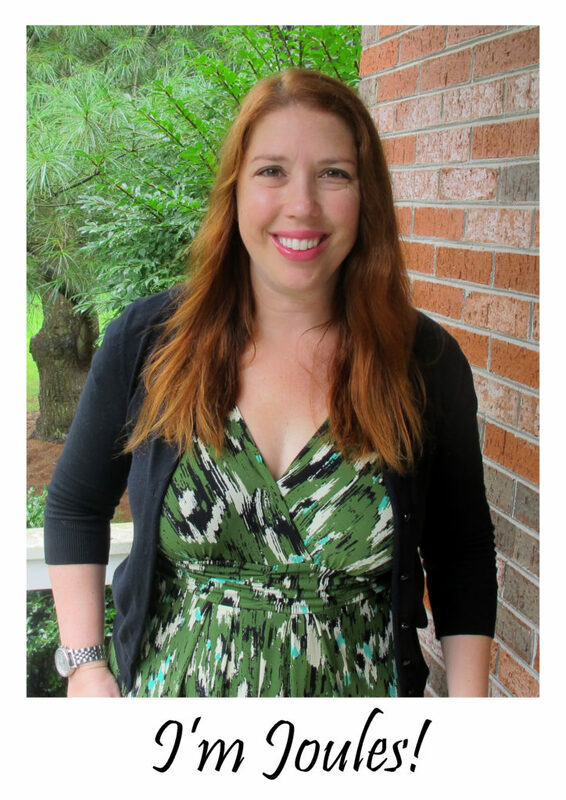 The top of the dress is a super soft cotton mix and the bottom has a more substantial fabric. At first, I was a bit concerned that the high-waisted fit looked a bit young on me. However, when I styled it for cooler weather with fleece-lined tights, knee boots and a green cardigan it looks pretty darn cute. 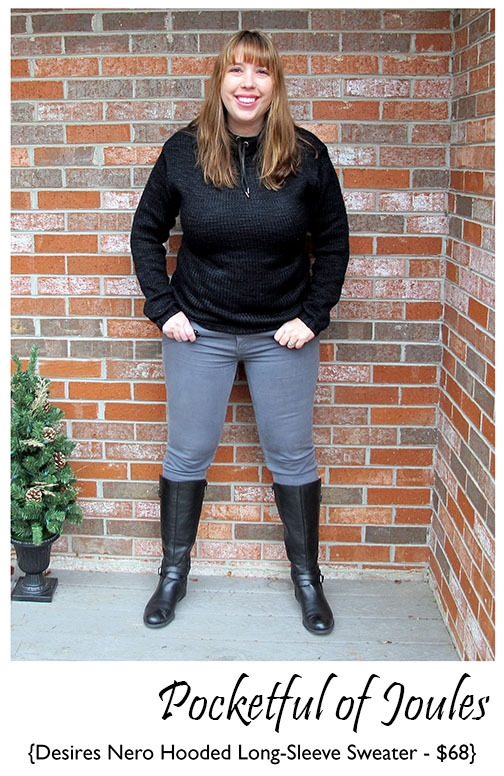 Okay a sweater is right up my alley and totally what I was wanting in this Fix! The weather is getting quite frightful in Maryland and I was hoping for something that would keep me warm while still being cute. Sara obviously took my notes asking for something chunky and warm seriously when she choose this sweater for me. 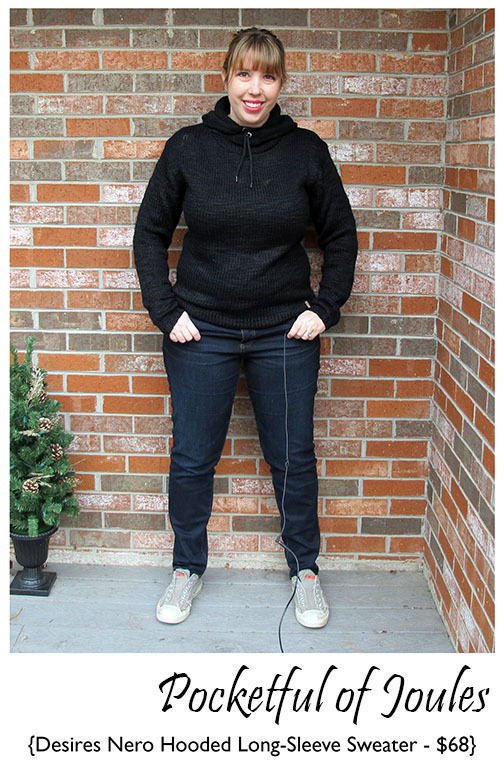 Also, the neckline is really similar to the drawstring funnel neck sweatshirt that I asked for… so YAY Sara! Hmm… does this shirt remind you of anything? Take a little gander over to the right and check out my profile picture. It’s like shirt twinsies, right?! However, my summer embroidered top is black, super flowy and short-sleeved. This one is navy blue, fits perfectly and has nice extra-long sleeves that will keep me warm this winter (and fall and spring). Oh, and it’s a super soft cotton. 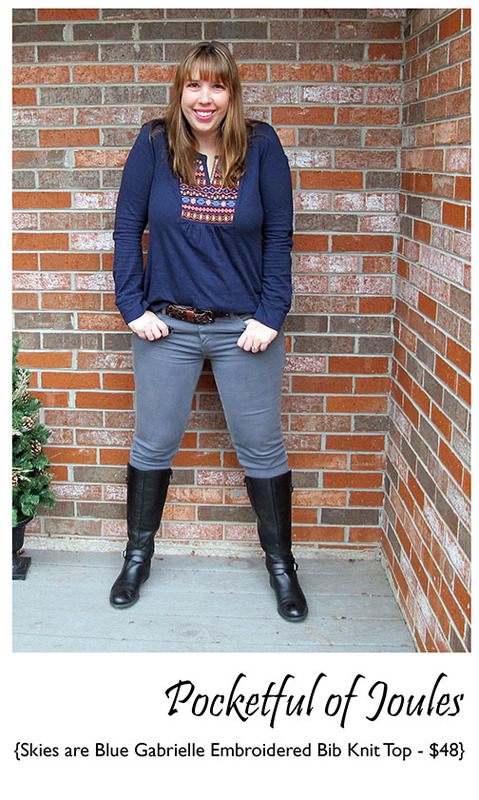 I love this top and already wore it for my girlie get together over the weekend. So this one is obviously a keeper! I really wanted a little sparkle this holiday season and this top has just a smidge of sparkle along the front. It is navy blue and a little bit transparent, so I’d have to wear a tank top with this one. However, I think it can dress up a pair of destroyed jeans AND look equally cute styled for a typical workday. This could be one of those sleeper pieces in my wardrobe – it looks pretty simple now, but could certainly be worn with pretty much everything! 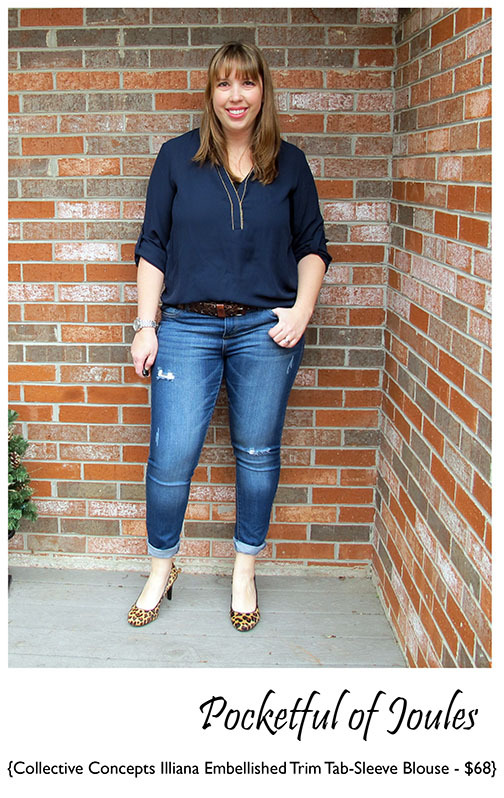 Here’s the top styled for a date night with my handsome husband — I added in my sassy distressed jeans and some leopard print heels. Roar, baby. Now it’s time for you to help me decide what I should buy! I purposefully didn’t give you too much information on which ways I was leaning because I LOVE getting your feedback. Is this one of those buy-it-all boxes? If I do decide to purchase the whole Fix I will save $77.50 with the buy 5 discount (in addition to my $20 styling fee credit)… making my total for all 5 pieces $232.50. I’d love to hear your feedback, so please leave me some comments below and tell me what you think! 1/13/15 Update: I got bogged down in holidays (and holiday cookies) and totally forgot to tell you which items I decided to purchase! I bought the Market and Spruce Alan French Terry Asymmetrical Zip Cardigan and the Skies are Blue Gabrielle Embroidered Bib Knit Top. In the few weeks since I bought them, I’ve worn them both a ton so I’m totally happy with my choices. Thank you to everyone for your feedback! 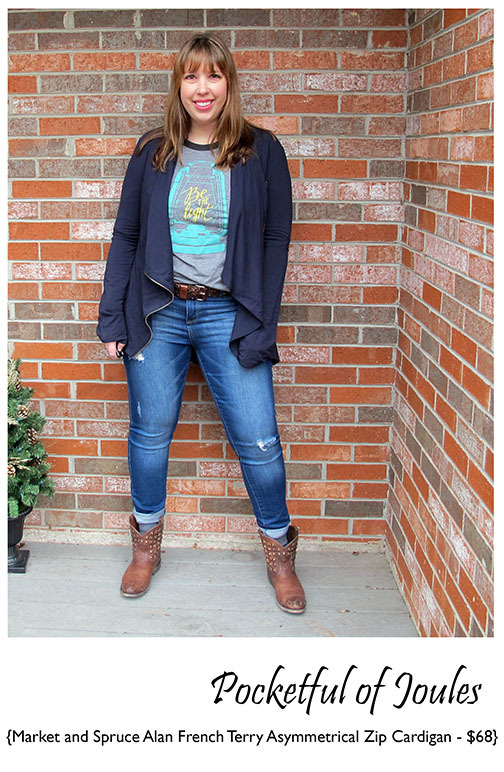 Disclaimer: This post is not sponsored by Stitch Fix, I pay for the $20 styling fee and any clothing I purchase with my own hard-earned money. 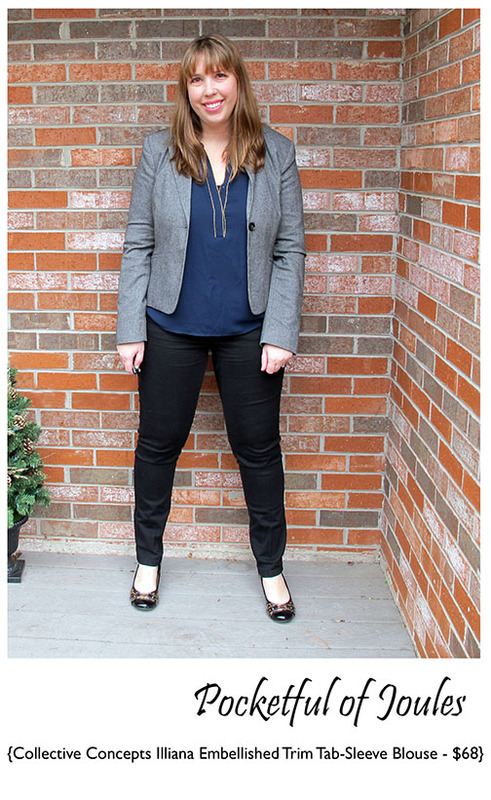 If you enjoyed my review and decide to try Stitch Fix for yourself, the biggest compliment you can give me is by using my referral link. Thank you to anyone who chooses to click through and support my shopping addiction! ← The Joules Purge: How Did It Go? I seriously love it all! Keepers galore. 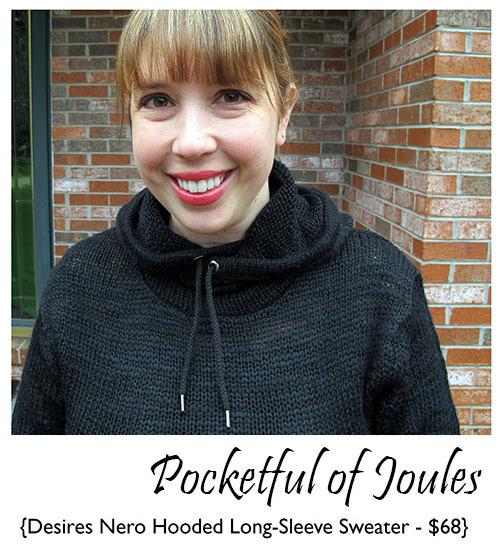 And I love that you took the time to style each piece numerous ways – you have me ideas for my own wardrobe plus I don’t think you’ll add these items to the Joulespurge any time soon since you have outfit options! Awww, thanks so much Annie. It certainly helps me imagine how often each item will be used if I style it different ways when I’m still deciding if I should buy it! I don’t love the zip cardigan closed, but I love it open. The hoodie looks AMAZINGLY comfortable and the others are all keepers too. 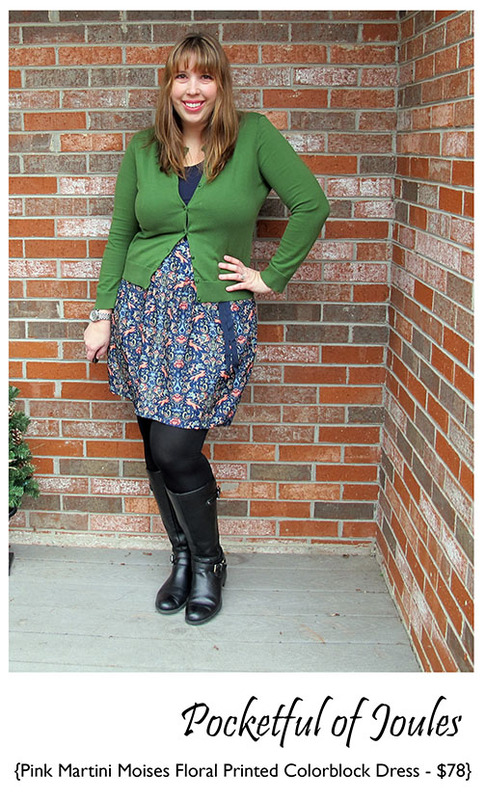 I totally agree with you on the zipped up cardigan… but open it’s pretty darn cute. =) Surprisingly, the hoodie sweater is my husband’s favorite piece in the Fix! Wow! Everything looks great on you! Keep all the things! Thanks Joy! 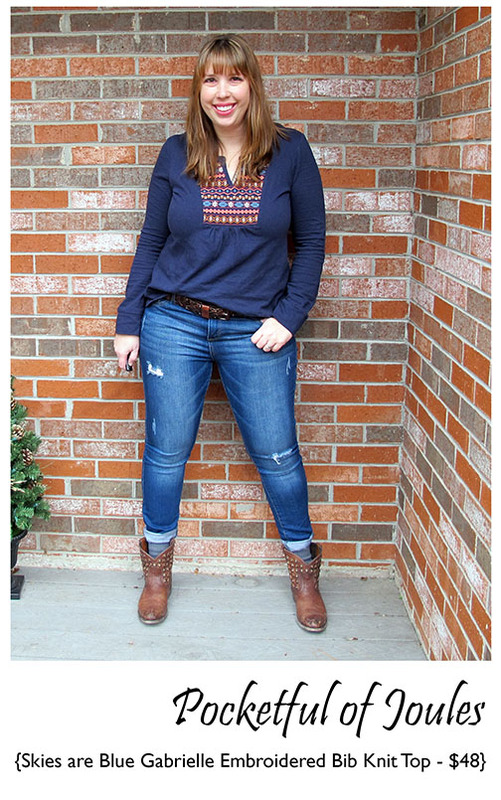 That embroidered top is my absolute favorite from the Fix and I even wore it over the weekend! That’s awesome that your December box was a keeper! You look good in all of these! I’m glad December was more your style. I LOVE the floral dress on you and how you mixed and matched it with different pieces. So cute.